Arbor With Swing for Miniature Fairy Gypsy Gardens. 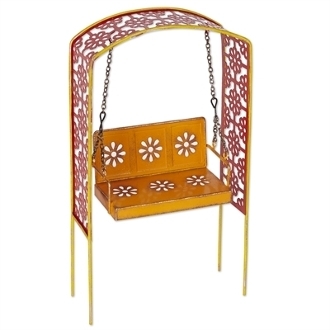 This beautifully ornate arbor and swing designed by Genevieve Gail makes a bold statement in any mini garden. Its movement and the detailed metalwork make it truly special.